After years of renovation work, the interior of the Hagia Sophia can now be enjoyed in its true splendour. For many years it was impossible to admire the interior of the Hagia Sofia, Istanbul’s most enduring landmark, due to the maze of scaffolding that covered it. Restoration work on the building, which is almost 1,500 years old, was painstakingly slow; originally constructed by Emperor Justinian as a Byzantine Church, it later served as a mosque, and is now a museum and UNESCO World Cultural Heritage site. 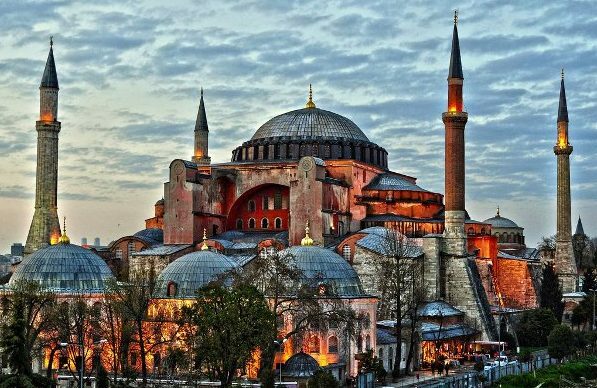 But last year, when Istanbul was Europe’s Capital of Culture, the scaffolding – which was anything up to 55 metres high in places – was finally removed, and the interior of the mighty Hagia Sophia now radiates its full glory and splendour, and the cupola and mosaics can again be viewed unhindered. Many with an interest in culture will cherish the experience. A museum of modern art is taking the creative avant garden to Ukraine. Visitors to the Ukrainian capital Kiev prized the places which reflected the history and traditions of the country first and foremost. These included its churches and monasteries such as the St. Sophia Cathedral and the Monasteiy of the Caves; the famous Andriyivskyy Descent, where so many artists have resided, and Tsarskoye Selo Restaurant, whose rustic ambience illustrates the deep-seated patriotism of the Ukrainian people. A new addition to these centuries of tradition is that Kiev has now also become a destination of choice for lovers of contemporary art. This is largely thanks to Viktor Pinchuk, an oligarch who opened the Pinchuk Art Centre a number of years ago to provide a suitable backdrop to his exquisite art collection. The Centre’s extraordinary temporary exhibitions round off the city’s broad cultural sweep.